Sacred is the legacy of the Serpent! 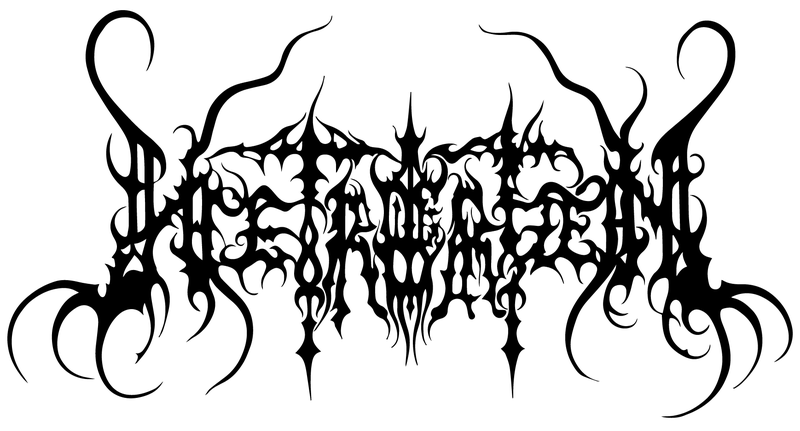 Hetroertzen is a black metal band formed in 1997 by Deacon D. The band originated in Puerto Varas, southern Chile and by 2009 had relocated to Västerås, Sweden. ​Hetroertzen was initially a solo project until Deacon D. decided to make a band of it and so joins guitarist Åskväder in September 1999. ​During their first years of existence, a couple of albums were recorded and a handful of gigs were performed. The band had a brief hiatus for various reasons, but in 2009 after resurfacing in Sweden, the band recorded ‘Exaltation Of Wisdom’, which was released in 2010 by Lamech Records. 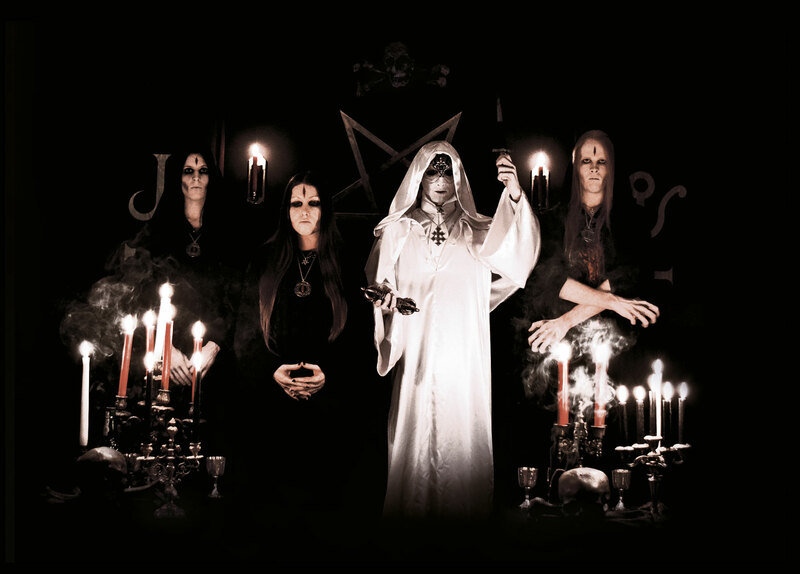 ​In November 2011 Hetroertzen performed ‘Exaltation of Wisdom’ in its entirety in what it was their first live appearance since 2006; the event was called ‘Arosian Black Mass’ and it was held in Västerås, Sweden. This show received highly positive critique from all attendants. ​At the beginning of 2012 Hetroertzen went on to record new material for a split album together with Norwegian devotees Dødsengel. The split, under the title ‘Capax Infiniti’, gained a great response from the audience from all around the world. ​In October 2013, the band went out on their first ever tour, alongside black metal legends Trolland Dødheimsgard. ​During 2014 Hetroertzen recorded material for a new full-length album which allowed them to stretch the boundaries of their already unique sound. ‘Ain Soph Aur’ saw the light in December 2014. ​In the fall of 2015 Hetroertzen conquered USA for the first time and performed two very exclusive shows in New York and Baltimore. Also in 2015 the band confirmed to do their second European tour. 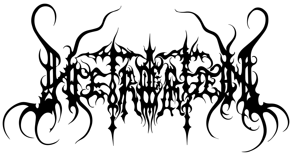 ​During 2016 Hetroertzen focused on the composition of their latest album 'Uprising of the Fallen'which was released in early 2017 by Listenable Records. ​During 2017 the band performed various hand-picked live shows which included countries never conquered before. They also had a short tour in the summer throughout Germany, Belgium and The Netherlands. ​At the beginning of 2018 the band returned to their homeland Chile to perform 7 exclusive dates along the country. Also in this year, their debut album 'Flying Across the Misty Gardens' was released by Lamech Records as a special anniversary edition reissue. ​Hetroertzen is nowadays preparing themselves for another tour throughout Europe, scheduled for autumn 2018. "...Now it has passed I am looking back on 2010 as a vintage year for the underground. There was a deluge of excellent releases by excellent bands right through the year. One of the very best, and probably my personal favourite was Exaltation of Wisdom. Not only does it represent the darkness that keeps Black Metal alive in such a tremendous way but it also casts the listener into a timeless void of deep thought and reflection..."
Waffen, 2010. Hell Furnace Webzine. "...This album has everything that the true black metal should have: decent compositions, excellent musicianship, thoughtful lyrics and serious approach to the recording and mixing process with the retention of characteristic rawness of the sound and the creation of great magical atmosphere. Recommended to everyone looking for serious occult black metal..."
Fulgurius, December 13th, 2011, Metal-archives. "...'Ain Soph Aur' is an ambitious release, adding variations in tempo and vocal style to Hetroertzen's now characteristic sound that was undoubtedly perfected on 'Exaltation of Wisdom'. There is even some genre crossover to be discovered, as the mid-tempo offering, "The Luminous One", is surprisingly evocative of death metal Egyptologists Nile. As expected for this release, the layout, design and artwork supplementing the band's brand of ritual noise is suitably esoteric, appearing and reading like an ancient occult tome..."
Torchia, January 26th, 2015, Metal-archives. Hetroertzen - Ain Soph Aur. "...This album is essential. I waited quite some time to hear it and when I did I was not in the slightest bit disappointed. It not only met my own personal expectations, it exceeded them. I do think that for many people it might take a few attempts to get into as its presentation may come off as a bit eccentric to a lot of listeners. On all levels this album couldn’t possibly be more genuine and sincere. There’s no posturing or lying to be found. “Ain Soph Aur” does its title justice and comes very, very near to perfection. Sacred is the legacy of the Serpent..."
Anti-matter, January 13th, 2015, Plague Haus webzine. "...Now as for the music I am totally bewitched by variousity and complexity at the same time. It is even hard to focus where to start with description of this masterpiece. I think it is one of the best releases in the last year, not quite sure if any other record was quite shocking with its maturity and diversity...."
Terror Cult Prod, July 23th, 2016. Terror Cult Zine.